point shapefile containing the original surveyed z values. This file can be created using the Create Point Feature Class Tooll located under the Data Preparation tab. 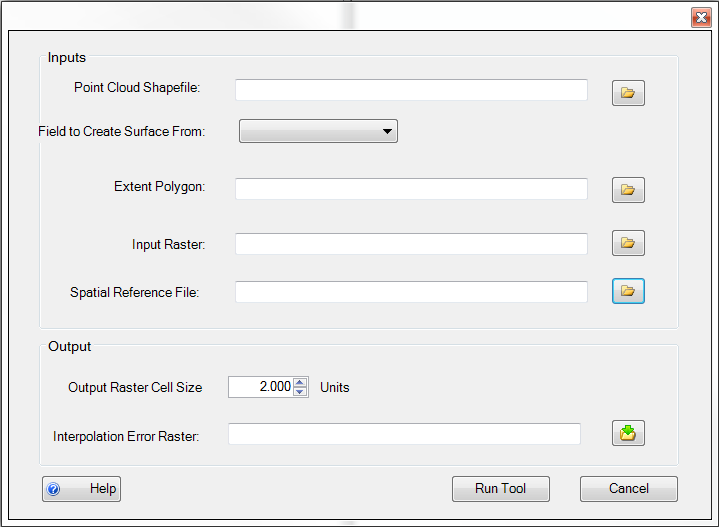 This drop-down list will automatically populate with fields from the point cloud shapefile. *However any field can be used to see interpolation error values for that field. polygon shapefile of the survey extent for the point cloud shapefile. This can be created through in GCD with the Create Bounding Polygon Tool or the Survey Extent Polygon Tool. The raster that was interpolated from the point cloud shapefile.